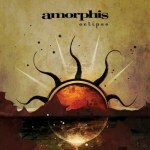 With a new vocalist leading the way, Amorphis sound reborn on their seventh full-length album. Replacing a lead vocalist is always the hardest thing for an established metal band to successfully pull off, but Amorphis are no strangers to the situation, as guitarist/death howler Tomi Koivusaari gave way to singer Pasi Koskinen in the mid-'90s, and when Koskinen left the band in late 2004, just as their fine album Far From the Sun was hitting stores in North America, the band was forced to go through the whole process all over again. At the time, it might have seemed like the worst possible time to bring in a replacement singer, but in retrospect, the quick hiring of new frontman Tomi Joutsen (formerly of Sinisthra) before their US tour turned out to be a blessing in disguise. By breaking in their new singer with a full touring schedule as opposed to working in rehearsal and recording studios, by the time the band was ready to record their much-anticipated follow-up, instead of sounding like five guys and a singer, they were a finely tuned unit of six, and as we hear on the new disc Eclipse, Joutsen’s presence seems to have given the rest of the band a tremendous boost of energy. Not only is the new album their most commercially accessible to date, but it’s arguably their finest effort since 1994’s much-lauded Tales From the Thousand Lakes. In keeping with their name, Amorphis has always been one of the most difficult-to-pin-down bands out there, easily shifting musical styles from album to album, and while that evolution continues on Eclipse, the band appears to have settled into the kind of groove that suits them best, nicely balancing the progressive, folk-inspired element from their early days with a more robust, melodic hard rock touch. Far From the Sun inched toward that more accessible sound, but as enjoyable an album as it was, one could sense a malaise in both Koskinen’s singing and the band’s overall sound, but the instant you hear Eclipse’s opening cut “Two Moons”, it’s clear that Joutsen was just the shot in the arm the band needed. In direct contrast to the rather easygoing Far From the Sun, “Two Moons” bursts out of the gate, Santeri Kallio providing his usual serpentine synth riffs, and Joutsen displaying impressive range, alternating from a commanding bellow to a distinctive, lower-register baritone. The straightforward rock formula suits the band very well, as Kallio and guitarist Esa Holopainen display a knack for composing terrific, memorable hooks, while still incorporating the band’s trademark guitar/ keyboard-oriented style; “Born From Fire” is first-rate power metal (in the vein of fellow Finns Nightwish), built around a slick lead guitar melody, while the brooding, goth-tinged “House of Sleep” ranks as one of the finest singles they’ve ever put out (not to mention their most successful, topping the charts in Finland), Joutsen’s nuanced vocal performance adding a welcome depth that had always been absent in Amorphis’s music. While the majority of Eclipse is up-tempo, there are a couple of instances that hearken back to the more languid sounds of the previous record, namely “Under a Soil and Black Stone” and “Same Flesh”. The folk-oriented side of Amorphis will never fully disappear, and longtime fans will take great pleasure in such tracks as “Leaves Scar”, “Perkele (The God of Fire)”, and the lovely “The Smoke”, three songs that mark a glorious return to the folk death metal that made the band famous more than a decade ago. Sumptuous, sinewy synth and guitar melodies wind their way around each song as Joutsen and Koivusaari (who reprises his death vocals!) trade verses, no song venturing longer than four minutes, a testament to the veteran band’s restraint, fully aware that less is often more. After an extended period of experimentation, Amorphis appear to have finally found just the right combination of hooks and progressive moments on Eclipse, and with their third lead vocalist, have finally stumbled upon the right person for the job, as Joutsen carries the entire record with his robust, yet appealing performance. It’s easily one of the most impressive transformations of an established metal act in years, and what an album, to boot.